Zevrix Solutions announces Output Factory 1.5.60, a compatibility update to its output automation solution for Adobe InDesign. Output Factory automates printing, exporting and post-processing from InDesign and offers batch processing, export as single pages, variable file names, layer versioning, preflighting, detailed history and more. The new version makes Output Factory compatible with the recently released InDesign CC 2017 and improves the reliability of TIFF export on network volumes. Toronto (ON), Canada — Zevrix Solutions today announces the release of Output Factory 1.5.60, a compatibility update to its professional solution to automate printing, exporting and preflighting from Adobe InDesign. Output Factory automates and simplifies workflows of printers, prepress bureaus, ad agencies and publishing houses worldwide by offering batch processing with powerful and time-saving output options. The new version makes Output Factory compatible with the recently released InDesign CC 2017 featured as part of Adobe Creative Cloud. The update is offered free of charge to licensed users. The new version also improves the reliability of exporting InDesign documents as hi-res TIFF images on AFP network volumes. Output Factory can be purchased from Zevrix website for US$169.95 (Light version $119.95), as well as from authorized resellers and Adobe Exchange. Trial is also available for download. BatchOutput users can upgrade to Output Factory for $84.97. Output Factory requires Mac OS X 10.7-10.12 and Adobe InDesign CS3-CC 2017. Located in Toronto, Canada, Zevrix Solutions provides productivity solutions for Adobe Creative Suite software, PDF workflows, graphic file diagnostics, file delivery and Microsoft Office on Mac OS. Zevrix is dedicated to help professionals increase their profits through automating everyday tasks, producing error-free documents, saving disk space and cutting production costs. For more information, visit http://www.zevrix.com. Zevrix Solutions announces that all its products are now compatible with the 2014 release of Adobe Creative Cloud. Zevrix products include popular solutions for Adobe InDesign and Illustrator, such as Output Factory, LinkOptimizer and InPreflight. The Zevrix products allow users to automate printing, exporting and file delivery from InDesign; save disk space and production time through image optimization and automated file packaging; and eliminate errors with thorough preflighting. Toronto (ON), Canada (September 29, 2014) — Zevrix Solutions announced today the compatibility of all its products with the 2014 release of Adobe Creative Cloud. Zevrix products include several popular plug-ins for Adobe InDesign and Illustrator, which help professionals automate their everyday tasks, produce error-free documents, save disk space and cut production costs. LinkOptimizer is a workflow automation solution for InDesign that reduces the size of InDesign links, performs essential image adjustments and converts file formats. LinkOptimizer lets users save disk space, cut down on processing time and decrease production costs. A similar application, ArtOptimizer, is available for Adobe Illustrator. Output Factory automates printing and exporting from InDesign. It offers batch printing, layer versioning, single page export, preflighting, variable file names, output history and more. Output Factory supports printing as well as exporting to PDF, PostScript, EPS, Flash and other formats. Output Factory Server automates InDesign output tasks by processing files from watched hot folders. The software offloads output to a central system leaving operator workstations free from the printing process. InPreflight is an all-in-one solution to check InDesign documents and prepare them for final output. In addition to advanced preflighting, the software can automatically package multiple documents into one folder, helping users save disk space and production time. All Zevrix products run on Mac OS X 10.5-10.9 and work with Adobe CS3-CC 2014. The products can be purchased from the Zevrix website as well as from authorized resellers. Trial versions are also available for download. The update to CC 2014 compatible versions is free to licensed users. Located in Toronto, Canada, Zevrix Solutions provides productivity solutions for Adobe Creative Suite software, graphic file diagnostics, and Microsoft Office on Mac OS. Zevrix Solutions makes it easier for professionals to achieve more while doing less by automating their everyday tasks, producing error-free documents, saving disk space and cutting down on production costs. Zevrix Solutions announces LinkOptimizer 4.9.17, a compatibility update to its popular workflow automation solution for Adobe InDesign. LinkOptimizer allows to reduce InDesign link size and speed up processing by eliminating excess image data. The software also performs image adjustments, converts file formats and helps repurpose InDesign files for web and mobile devices. The new version makes LinkOptimizer compatible with the 2014 release of InDesign CC featured as part of Adobe Creative Cloud. Toronto (ON), Canada (July 1, 2014) — Zevrix Solutions today announces LinkOptimizer 4.9.17, a compatibility update to its popular workflow automation solution for Adobe InDesign. Awarded 4 out of 5 starts by Computer Arts magazine, LinkOptimizer automates complex image manipulation tasks allowing to significantly reduce the size of InDesign links, save processing time and reduce production costs. The new version makes LinkOptimizer compatible with the recently announced 2014 release of InDesign CC, featured as part of Adobe Creative Cloud. The update is offered free of charge to LinkOptimizer users. The same version of LinkOptimizer can be used with any version of InDesign and Photoshop from CS3 and later. At the end of processing, LinkOptimizer reimports images to InDesign at 100% in their precise position. As a result, users can save gigabytes of disk space, accelerate document output, reduce job turnaround and cut costs through faster processing. LinkOptimizer can be purchased from Zevrix website for US$259.95 (Light version: $179.95) as well as from authorized resellers. Trial is also available for download. The update is free for LinkOptimizer 4.x users and $130 to upgrade from previous versions. LinkOptimizer is available for Mac OS X 10.6-10.9 and works with Adobe InDesign and Photoshop CS3-CC 2014. Zevrix Solutions announces Output Factory 1.5.3, a compatibility update to its professional solution for Adobe InDesign output automation. Output Factory automates printing, exporting and post-processing from InDesign and offers batch processing, export as single pages, variable file names, layer versioning, preflighting, processing history and more. The new version makes Output Factory compatible with the 2014 release of InDesign CC, featured as part of Adobe Creative Cloud. Toronto (ON), Canada (June 26, 2014) — Zevrix Solutions today announces the release of Output Factory 1.5.3, a compatibility update to its professional solution to automate printing, exporting and post-processing from Adobe InDesign. Output Factory automates and simplifies workflows of printers, prepress bureaus, ad agencies and publishing houses worldwide by offering batch processing with powerful and time-saving output options. The new version makes Output Factory compatible with the recently announced 2014 release of InDesign CC, featured as part of Adobe Creative Cloud. The update is offered free of charge to Output Factory users. The same version of Output Factory can be used with any version of InDesign from CS3 and later. Output Factory can be purchased from Zevrix website for US$169.95 (Light version $119.95), as well as from authorized resellers and Adobe Exchange. Trial is also available for download. BatchOutput users can upgrade to Output Factory for $84.97. Output Factory is available for Mac OS X 10.5-10.9 on Intel-based Macs and works with Adobe InDesign CS3-CC 2014. Zevrix Solutions announces that all its products are now compatible with the Adobe Creative Cloud software. Zevrix products include popular solutions for Adobe InDesign and Illustrator, such as Output Factory, LinkOptimizer and InPreflight. The Zevrix products allow to automate printing, exporting and file delivery from InDesign; save disk space and production time through image optimization and automated file packaging; and eliminate errors with thorough preflighting. Toronto (ON), Canada (July 23, 2013) — Zevrix Solutions announced today the compatibility of all its products with the Adobe Creative Cloud software. Zevrix products include several popular plug-ins for Adobe InDesign and Illustrator, which help professionals automate their everyday tasks, produce error-free documents, save disk space and cut production costs. LinkOptimizer is a workflow automation solution for InDesign. It reduces the size of InDesign links by eliminating excess image data, performs essential adjustments such as color conversion and sharpening, and convert image formats. LinkOptimizer lets users dramatically reduce the size of InDesign links, cut down on processing time and reduce production costs. A similar application, ArtOptimizer, is available for Adobe Illustrator. BatchOutput Server automates InDesign output tasks by processing files from watched hot folders. The software offloads output to a central system leaving operator workstations free from the printing process. A similar product, Package Central, automates document packaging from InDesign via hot folders. InPreflight is a powerful all-in-one solution to check InDesign documents and prepare them for final output and shipping. In addition to advanced preflight capabilities, the software can automatically packaging multiple documents helping users save disk space and production time by collecting all linked files into one folder. InPreflight also lets users print graphic preflight reports and save them as PDF. All Zevrix products run on Mac OS X 10.5-10.8 and work with Adobe CS3-CC. 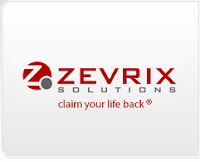 The products can be purchased from the Zevrix website as well as from authorized resellers. Trial versions are also available for download. The update to CC-compatible versions is free to licensed users.